JetBlue has announced it intends to launch multiple daily flights from New York and Boston to London in 2021. 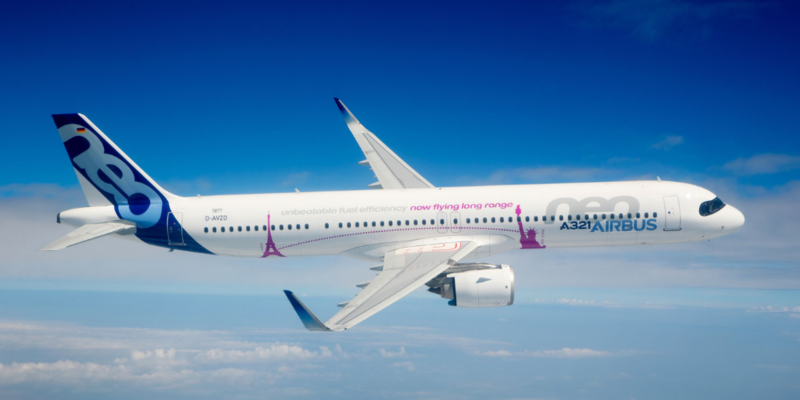 The new routes, which will be served by Airbus A321LR single-aisle aircraft, will mark the first-ever transatlantic service offered by the award-winning airline. Twenty years ago, our founders had a simple formula for choosing a new market – it had to be overpriced, underserved, or both. London is the largest metro area JetBlue doesn’t yet serve from both Boston and New York, and we could not be more thrilled to be changing that in the years ahead. The fares being charged today by airlines on these routes, specifically on the premium end, are enough to make you blush. Known in the U.S. for having the most legroom in economy, live television at every seat, free Wi-Fi internet, complimentary snacks and soft drinks, and great customer service, JetBlue’s entrance into the transatlantic market should introduce a new era of customer-focused, low-fare travel for both business and leisure travellers. The airline’s Mint premium experience, which disrupted transcontinental travel in the U.S. with accessible fares and a thoughtful reinvention of the business class cabin, promises to offer transatlantic customers a fresh choice. Growth into Europe seems to be the next natural step in JetBlue’s focus city expansion strategy. The new service will strengthen JetBlue’s relevance in its two largest focus cities while also answering calls from loyal business and leisure customers who have, until now, been forced to fly other carriers to and from London. According to JetBlue, the airline is “developing a reimagined, transatlantic version of its premium Mint product” which will feature more lie-flat seats than currently offered on the airline’s existing A321 aircraft. Transatlantic Mint product features and design elements, combined with JetBlue’s specially trained Mint inflight crewmembers, will “create an intimate and exclusive travel experience”. And, like its transcontinental Mint business model, “JetBlue will offer the elevated flying experience for a fraction of what other airlines are charging today for premium seats”. 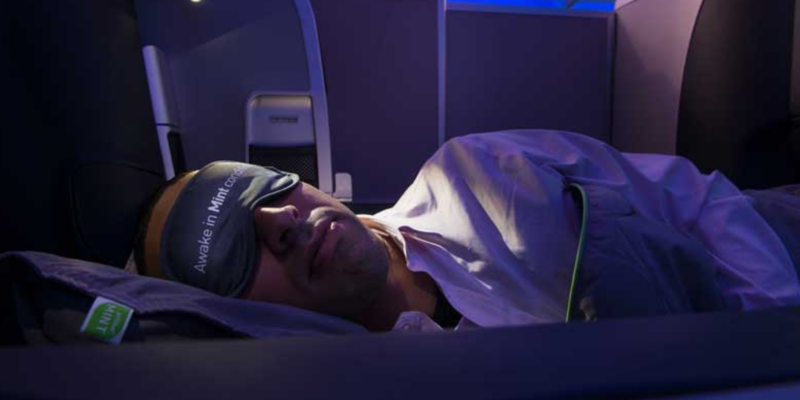 JetBlue’s domestic U.S, customers in JetBlue Mint are used to the longest lie-flat seat (6’ 8”) on domestic premium flights, featuring a massage function, adjustable cushions and the only private suite among U.S. airlines. The success Mint has had on driving down the exorbitant airfares that our competitors were charging, stimulating new demand, and forcing the entrenched carriers to up their game, is a big reason we believe London is the next natural market for JetBlue to be successful and make a positive impact on consumers. JetBlue will initially convert 13 aircraft in its existing Airbus A321 order book to the LR version with the ability to convert more. The A321LR will allow JetBlue to tap into new long-haul markets that were not previously accessible with its current single-aisle aircraft. JetBlue is converting its orders of Airbus A321 to the longer-range A321LR. JetBlue has pioneered new travel possibilities for their customers for years,” said Christian Scherer, Airbus Chief Commercial Officer. “All of us at Airbus are honoured to provide the strategic aircraft platform to enable this next chapter in the story of our partners at JetBlue. Today, JetBlue serves nearly two dozen countries. The airline has been flying internationally for nearly fifteen years with a significant portion of its operations in the Caribbean and Latin America with flights reaching as far south as Ecuador and Peru. Jetblue’s entry to the transatantic market will be a boost for UK-based companies doing business in New York or Boston. They will bring a fresh approach to the market and we look forward to making their offer available to our clients. JetBlue will be a new name to many businesses in the UK, but, at GTM, we have years of experience with the airline: they’re one of the best-known airline brands in the United States. They make more than 1,000 flights a day, to more than 100 destinations, serving 42 million passengers annually. We book passengers on JetBlue flights very frequently and we have done for years. More competition on transatlantic routes will be of great benefit to our clients. GTM’s clients will benefit not just from the new service from London to Boston and New York, but also to JetBlue’s extensive onward network connections. We will be able to pass on more information about these services – including prices and London airport details – when they become available. More than 1,500 children were given a unique insight into a career in aviation when they attended a careers event hosted by British Airways and KidZania. The two-day event saw them take the controls of an aircraft and try out the airline’s safety demonstration with cabin crew. The children were provided with replica uniforms and taught on board the British Airways A319 aircraft, learning some of the important skills needed to become real life flight and cabin crew. Many received a lesson on the flight deck simulator where they were given the opportunity to fly around London and land into Heathrow Terminal 5. Currently more than 6% of British Airways pilots are women, which is double the national average, but the airline is actively seeking to encourage more women into the profession. We’re delighted that so many students attended the event, which is just one of many initiatives we offer to inspire children and young girls to enter a STEM career. Last year 600 students took part in our work experience programme across 30 departments at British Airways, and this year we will host more young people than ever before. We’ve also introduced ‘Teacher Take-Off Days’, with teachers taking part in one-day work experience sessions and taking their learnings back to the classroom. Plus, we’ve launched a scheme we call Your Flying Future, where we regularly run events for children to meet our pilots, to encourage them to feel that this is a career available to them. Lots of our children will have never even been a passenger on a plane before, let alone thought about a career in aviation, so this event provides an invaluable opportunity to inspire the children and raise their aspirations for the future – coming to KidZania is one of the most important things we do all year. The British Airways A319 aeroplane is a big hit in the city, and it was fantastic to have ambassadors offering insights into their careers through a STEM-based interactive activity. The workshop offered hands-on opportunities to support and inspire key-stage 1-3 children through real life experiences. Air New Zealand’s complimentary inflight Wi-Fi summer offer to customers has been such a hit the airline is extending it. Wi-Fi is now available on 12 international aircraft, including six Boeing 777-200s and four Boeing 777-300s which predominantly fly the airline’s trans-Tasman, US and London routes and two A321neo aircraft which operate Tasman and Pacific Island services. Air New Zealand General Manager Customer Experience Anita Hawthorne says more than 80,000 people have connected to complimentary Wi-Fi on international flights since 1 December, which is the equivalent to the population of Palmerston North. We’re so pleased with the uptake of our summer Wi-Fi offer and the feedback we’ve received from customers during this period that we’ve decided to extend it until the end of March. Standard Wi-Fi on Air New Zealand services is charged at $30 NZD for a full flight to Australia and the Pacific Islands and $40 for the duration of a flight to North America, Europe and Asia destinations. There is also a 1-hour pass available for $9 on North America, Europe and Asia services. The Business Travel Show is the biggest event in Europe for business travel professionals, taking place at Olympia London on 21-22 February 2018. Over 7,500 visitors and 260 suppliers are expected to attend, including all of the world’s major airlines and hotel brands, ground transfer companies, serviced apartment providers and, of course, us – Global Travel Management! Complimentary Wi-Fi at all London Hiltons. We are pleased to announce that all of Global Travel Management’s customers are eligible for free Wifi at every Hilton hotel in London. Hilton have 36 properties in London, with many ideally located at Heathrow, Gatwick, Stansted & Luton; furthermore, other properties can also be found at Euston and Paddington stations. More centrally located hotels can be found at Canary Wharf, Tower Bridge, theatreland and close to Olympia. Simply request rate code WYN when booking. https://gtm.uk.com/wp-content/uploads/2015/05/logo_trans.png 0 0 Paul https://gtm.uk.com/wp-content/uploads/2015/05/logo_trans.png Paul2014-08-22 08:59:062014-08-22 08:59:06Complimentary Wi-Fi at all London Hiltons. Please note that Eurostar are operating to a revised timetable on their London to Paris route. From Tuesday 12th March until Saturday 13th April, trains from Paris to London will depart up to 15 mins earlier. Going in the opposite direction, trains from London to Paris will arrive up to 12 mins later from Monday 25th March until Saturday 13th April. This is due to engineering works which will be taking place between Arsy & Hattencourt on the French section of the high-speed line. Trains between London, Brussels and Disneyland Paris are unaffected. https://gtm.uk.com/wp-content/uploads/2015/05/logo_trans.png 0 0 Paul https://gtm.uk.com/wp-content/uploads/2015/05/logo_trans.png Paul2013-03-11 09:43:372013-03-11 09:43:37Important Eurostar Information. London LHR and London City (LCY) airports are currently reporting delays and cancellations this morning due to fog. Travellers are advised to check the status of their flight with the airline / operating airport or GTM. Finnair Super Deals To The Far East. Fly Finnair to the Far East this winter for prices (excluding airport taxes) starting from just £49 (Delhi)! Be quick though, the selling period for this offer ends on the 11th December. Fly from either London, or Manchester to : Hong Kong SAR, China, Japan, Thailand, Singapore or India. Flights are via Helsinki, advertised as the shortcut route between Europe and Asia, due to the Trans-Siberian route flown by Finnair. There are some blackout dates, namely the Christmas holidays, but depending upon your destination, travel to some destinations is permitted right through to 30 June 2013.
https://gtm.uk.com/wp-content/uploads/2015/05/logo_trans.png 0 0 Paul https://gtm.uk.com/wp-content/uploads/2015/05/logo_trans.png Paul2012-11-23 17:00:212012-11-23 16:42:36Finnair Super Deals To The Far East. Easyjet To Begin Services To Moscow. Easyjet is to be allowed to operate flights from London to Moscow, in preference to Virgin Atlantic, thanks to a ruling by the Civil Aviation Authority (CAA). flying between London and Moscow under the bilateral deal but it has now stopped operating on the route following its takeover by BA. Easyjet is set to start its Moscow service in spring 2013 and said it would offer two daily flights on the Gatwick-Moscow Domodedovo route and expected to carry 230,000 passengers in its first year of operation. https://gtm.uk.com/wp-content/uploads/2015/05/logo_trans.png 0 0 Paul https://gtm.uk.com/wp-content/uploads/2015/05/logo_trans.png Paul2012-11-05 19:04:512012-11-05 18:21:41Easyjet To Begin Services To Moscow. Singapore Airlines – All A380 From London. All three of Singapore Airlines’ services from London Heathrow to Singapore are now operated solely by Airbus A380 aircraft; previously one of the three daily services was operated using a Boeing 777-300ER aircraft. From this October, Singapore Airlines will also add an additional fourth daily rotation between London & Singapore. The new service will be gradually phased in starting from Friday 14th September, before becoming a daily service during week commencing 21st October. Business Rewards is a loyalty program open to companies whose employees travel around the world with Emirates. Customers can enrol online and subsequently earn Business Rewards Miles, which can then be redeemed for flights or upgrades. Individual Skywards frequent flyer members will continue to earn and collect the same number of Skywards Miles as they always have. SAA To Axe Cape Town Service. The 15th August 2012 will see South African Airways’ (SAA) last service from London to Cape Town. SAA has blamed its decision (to withdraw the service) on increased competition by both, direct and indirect airlines, reduced demand, increases in the UK’s Air Passenger Duty and the introduction of a £52 visa fee for South Africans travelling to the UK. New Virgin Atlantic Service To Vancouver. Virgin Atlantic has launched a new four times weekly service to Vancouver from London Heathrow. Services operate on Tuesdays, Thursdays, Saturdays & Sundays in both directions. Please note that construction work inside the international terminal at Los Angeles International Airport (LAX), may result in longer walks, or passengers being bussed to/from their aircraft. The work is scheduled to take approximately 6 months, lasting until the end of November. Because of this many airlines are advising passengers to allow at least 75 minutes for check in, if they have hold luggage, and 60 minutes for those with hand luggage only. This is to allow extra time to clear security and reach the departure gate a minimum of 40 minutes prior to departure. AA To Go Ten Across. As widely predicted, American Airlines will adopt a dense ten across layout (3-4-3) for the economy cabin of its Boeing 777-300ER aircraft, which enter service this December. At present American’s existing fleet of Boeing 777 aircraft are configured 2-5-2, by comparison British Airways fleet of 777’s are configured 3-3-3. The aircraft with the new economy class layout will enter service between Dallas and Sao Paulo, and is also planned to operate from Dallas to London on December 30th, followed by New York JFK to Heathrow on February 14th 2013. The move to the new ten across lay out has been made to reduce operating costs so that American can keep its fares as low as possible. Two New Hotels Open In London. Two new hotels have recently opened their doors in central London. Firstly, the 5* Bulgari Hotel & Residences, is situated at 171 Knightsbridge. Secondly, the ME London is located on the Strand, at the southern tip of Covent Garden. With its very central location, the hotel is only a short walk to Fleet Street and EC4, the River Thames, Waterloo Bridge and the theatre district.